(P1) Like watching lightning? Book your next vacation for Venezuela. NASA has determined that country’s Lake Maracaibo is the new lightning capital of the world. 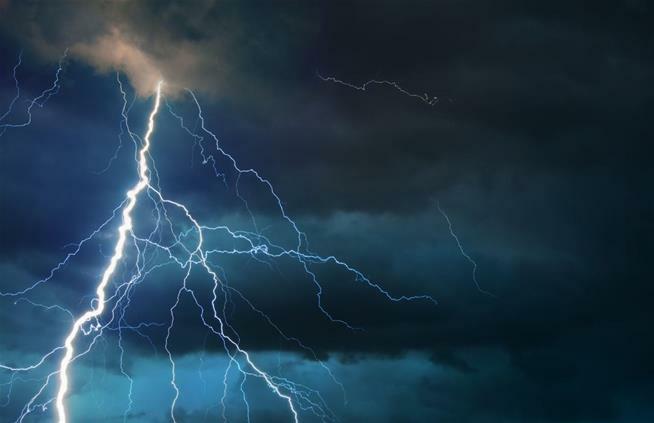 Using 16 years of data from the satellite-based Lightning Imaging Sensor (LIS), scientists determined Lake Maracaibo averages about 233 lightning flashes per square kilometer every year; during its peak rainy season, it can experience 28 strokes per minute. The researchers published their findings in February, and NASA discussed the results in a press release this week. The previous record-holder, Africa’s Congo Basin, averaged approximately 160 flashes per square kilometer per year, the International Business Times reports. (P2) Lake Maracaibo’s high amount of lightning activity is due to its “unique geography and climatology.” Various breezes meet over the warm lake waters, causing thunderstorms around 297 nights a year. Despite being unseated from the top spot, Africa still has more lightning than any other continent. The most lightning-heavy spot in the US is the Florida Everglades near Orangetree, Florida. But it doesn’t rank very high overall: It’s No. 14 on North America’s list and 122nd globally. “Better understanding of lightning activity around the world enables policy makers, government agencies, and other stakeholders to make more informed decisions related to weather and climate,” says Richard Blakeslee, an LIS project scientist for NASA. Do you like to watch lightning storms? Why or why not? Is it important to know which location is the lightning capital of the world? Why or why not? Describe the current weather in your city. Why do you think it’s important for experts to study the weather and climate?